Over the last few months it would be impossible to ignore the Kanye West-world we live in. From calling slavery a choice, unapologetic support of Donald Trump, ongoing feuds with Drake, shoe releases, endless Twitter rants, it all points to a new Yeezy album. 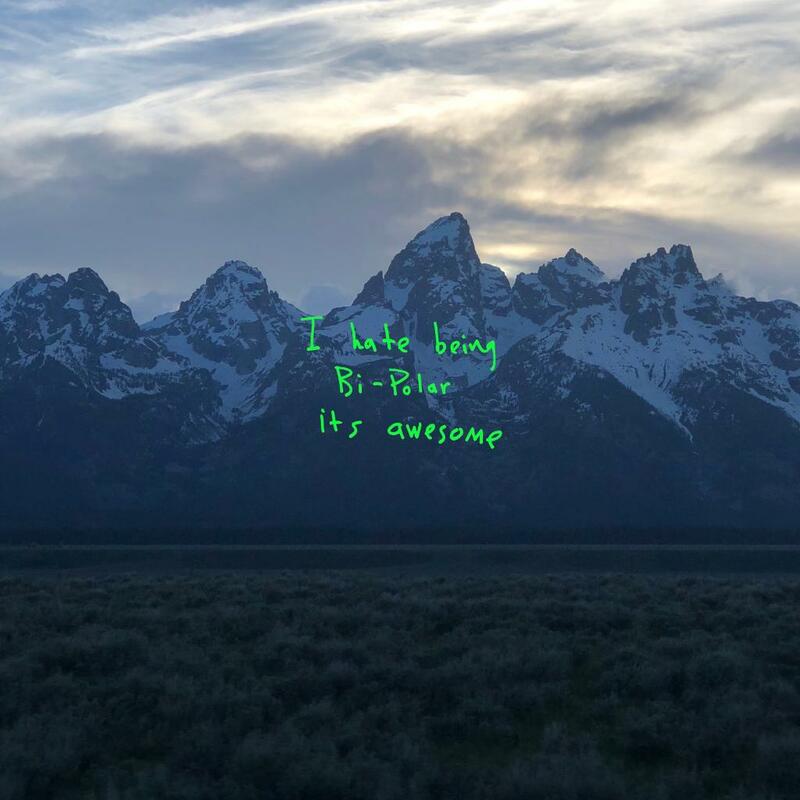 And after testing and pushing the patience of the industry, close associates and collaborators, and most of all, his fans, Kanye’s long-awaited, highly-anticipated new project, titled Ye and racking in at just seven songs, is finally amongst us. Opening track I Thought About Killing You sets a precedent for the project, one that echoes the unbalanced, deranged and evidently troubled state-of-mind Kanye is currently dealing with. The song screams desperation and instability, and is all the more unsettling for the wrong reasons, not for artistic flair or boundary-pushing shock value. Following track Yikes is an astute title, complete with a head-shaking, eye-rolling outro, but while memorable, it’s most likely due to its alarming similarity both sonically and structurally, to The Life of Pablo’s Wolves. Ye bleeds in and out of past West sounds, from the choral beauty of Dark Fantasy (Violent Crimes), to the abrasive clatter of instrumentation of Yeezus, even the isolated sombre of 808s (Wouldn’t Leave), all the while nodding at ‘chop-up-the-soul Kanye’ throughout. The second half of the project is notably stronger and more memorable, from the Charlie Wilson-fronted No Mistakes, through to the John Legend/Kid Cudi-colliding Ghost Town, perhaps one of Kanye’s best songs in years. Ye is certainly a reminder of West’s abilities as a producer and orchestrater. In truth, Ye makes for a difficult and challenging listen. Musically, it’s difficult to grasp and appreciate as a finished article, with all of Kanye’s issues, agendas and outward opinions consuming the music. Although the signs were certainly beginning to show with his last album, perhaps for the first time in his career, Kanye has fogged his identity, his purpose, and his direction. As a diehard Kanye West fan, Ye is all the more hard to appreciate when looking at everything behind the album’s completion and promotion. This generation has already lost two trailblazing figures of their respective fields in Avicii and Chester Bennington, and after listening and absorbing this project, with all its connotations, it’s impossible not to wonder what Ye might be the start of.